"Features some of the most innovative solutions to rainwater collection and retention." "...[Artful Rainwater Design] instills hope that the days of drab detention ponds may soon be coming to an end, ushering in a new era of rain-celebrating landscapes." 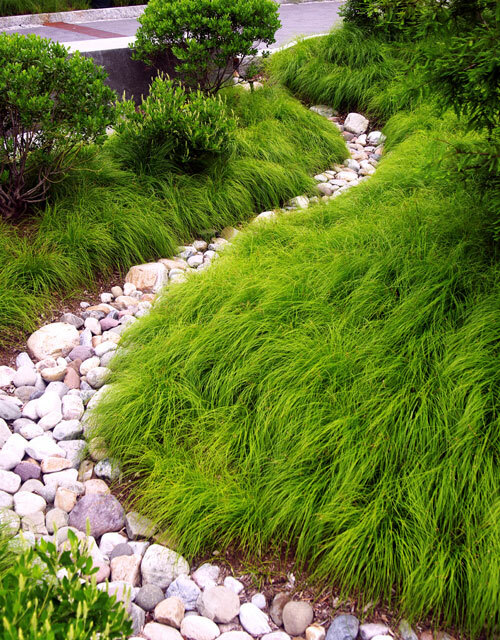 "Stuart Echols and Eliza Pennypacker rethink traditional stormwater treatment systems and offer innovative solutions for managing heavy rainwater and the runoff in ways that are valuable and beautiful. From the book’s opening pages, readers are reminded that rain is a resource, not a waste product." "A timely book that provides needed solutions to challenges occurring simultaneously in urban and suburban built environments across the nation: new development and aging infrastructure...Artful Rainwater Design has the potential to cross over into practice in ways that textbooks often do not—an important quality." "We depend on water for our very existence, a fact which has thrust water management into the front line of public policy. Unfortunately, a common result has been the proliferation of single-purpose, utilitarian solutions. Echols and Pennypacker present compelling alternatives to ugly stormwater management facilities through artful, landscape-based rainwater interventions and illustrate how we can better interact with water through creative design." "What was once considered to be a nuisance or of little consequence has become the focus of city leaders around the world, triggering a call to action to support the better management of the critical, life-giving natural resource: water. 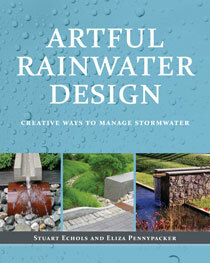 Artful Rainwater Design: Creative Ways to Manage Stormwater is a timely book that provides insight into the strategies, implementation methods, design parameters, and amenities that creative stormwater design can yield." "This book is a treasure and an inspiration for owners, architects, and civil engineers working with landscape architects to create function and beauty in creative ways on sites. One learns why and how to get two-fers and three-fers while collaborating to provide innovative and functional stormwater solutions." "In redefining the relationship between 'problem' and 'amenity,' the authors of Artful Rainwater Design have produced a capacious catalog of exemplars for harnessing excess runoff. Well organized, documented, and illustrated, this trove of techniques demonstrates how landscape designers and engineers can transform public perception and thus policy goals for urban stormwater management." "Building on a decade of research, travel, and development, Echols and Pennypacker explain the design of every stage of rainwater's path through crowded cities. Their Artful Design paradigm restores the urban water environment, and articulates the places where people live, making them active parts of their lives." Join Committee on the Environment to discuss the book Artful Rainwater Design and address critical environmental issues, such as global warming, habitat restoration, solid waste reduction, and community planning. Eliza Pennypacker and Stuart Echols, authors of the book Artful Rainwater Design , speak about their book and engage with local stakeholders including policymakers, advocacy groups, and the local community to address environmental challenges of today. 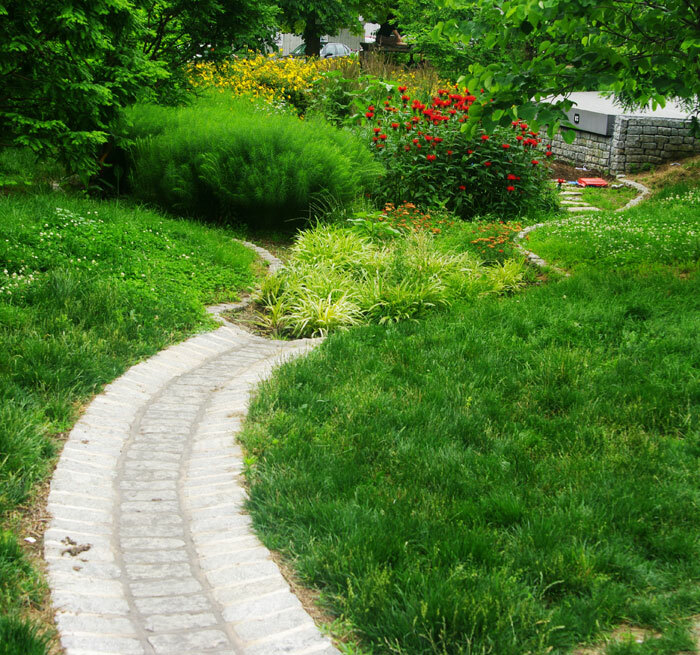 Members will to learn about the book, the research behind it, and authors’ unique approach to dealing with stormwater runoff in a design-friendly fashion. Stormwater runoff is the number one threat to water quality in the Puget Sound. Multiple jurisdictions, non-profits, and private organizations are actively working on innovative strategies to reduce this problem, which will continue to grow as population and development increase. But while traditional stormwater management has focused on flow control and cost savings, little attention is often paid to recognizing the value of this resource in adding amenities to a site and increasing its design aesthetic and capacity for improving site sustainability. Join Island Press authors and Penn State professors Eliza Pennypacker and Stuart Echols to discuss their book Artful Rainwater Design and hear about strategies to transform rain from a stormwater pollution and management problem to a way to enhance site design, provide multiple sustainability benefits, and celebrate rain for the precious resource that it is. As a lunchtime event, you are welcome to bring lunch to enjoy during the Roundtable.